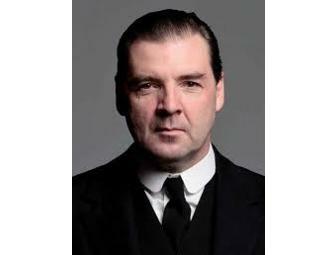 Lunch in London with Brendan Coyle at Claridges Hotel. 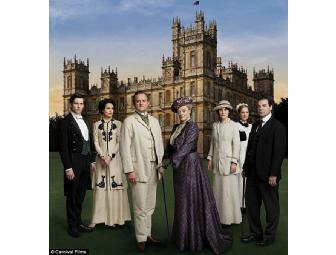 Find out more about the man behind Downton Abbey's Mr. Bates over a leisurely lunch in London. 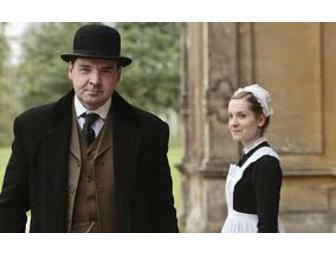 Brendan Coyle is ready to meet you and a friend during your next trip to England. Born to a Scottish mother and Irish father, David Coyle (Brendan is his stage name) lived in Dublin and London during his youth. With no thought of an acting career, Coyle worked in his dad's butcher shop after leaving school. It wasn't until his father died that he sought a change. Inspired by a Shakespeare production that he'd seen in school, Coyle contacted an Irish aunt who he knew ran a theater company and was soon enrolled in drama school in Dublin. 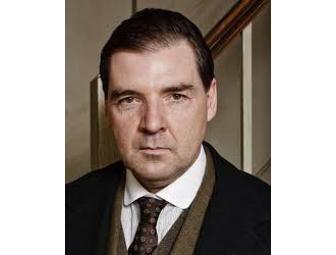 Now a veteran of the British stage, Coyle has appeared in many television dramas including North and South, Lark Rise to Candleford and on Masterpiece in Prime Suspect 7: The Final Act and Jericho. In the heart of Mayfair, Claridge’s luxury hotel in London is perfectly placed for the city, the shopping districts and leafy Hyde Park. With award-winning service and business facilities, Claridge’s Mayfair hotel is asumptuous retreat for the business traveller – or a luxurious indulgence if you want to spoil yourself or a loved one. Our 5 star hotel in London is a key part of the city’s history. Stars, socialites and the crowned heads of Europe have enjoyed our Mayfair hotel for over 100 years. *This prize is in LONDON, ENGLAND. Please note that advance planning is needed to ensure schedules are aligned over the next 12 months. Your support matters, so Origin Theatre Company would like to use your information to keep in touch about things that may matter to you. If you choose to hear from Origin Theatre Company, we may contact you in the future about our ongoing efforts. Copyright © 2003-2019 Origin Theatre Company and BiddingForGood, Inc. All Rights Reserved. Designated trademarks and brands are the property of their respective owners.